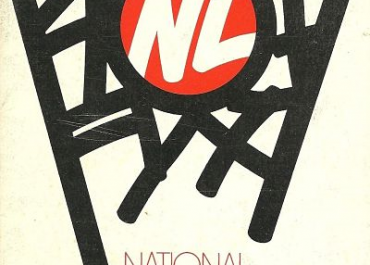 To fans and followers of the current NLL and those who were Eagle Pro Lacrosse League and MILL (Major Indoor Lacrosse League) fans as well, it should be known that all former leagues, including today’s current NLL are all interconnected. 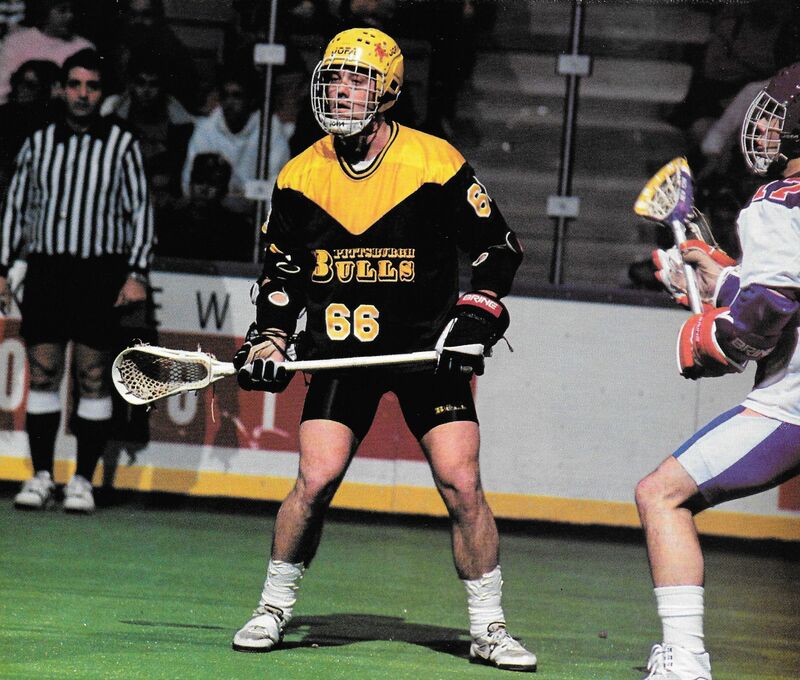 This means the pro box of the Eagle and MILL leagues of the 80’s and 90’s and the present day NLL all evolved out of what previously existed in the 1970’s and prior to that, the semi pro leagues in Canada of the 60’s. 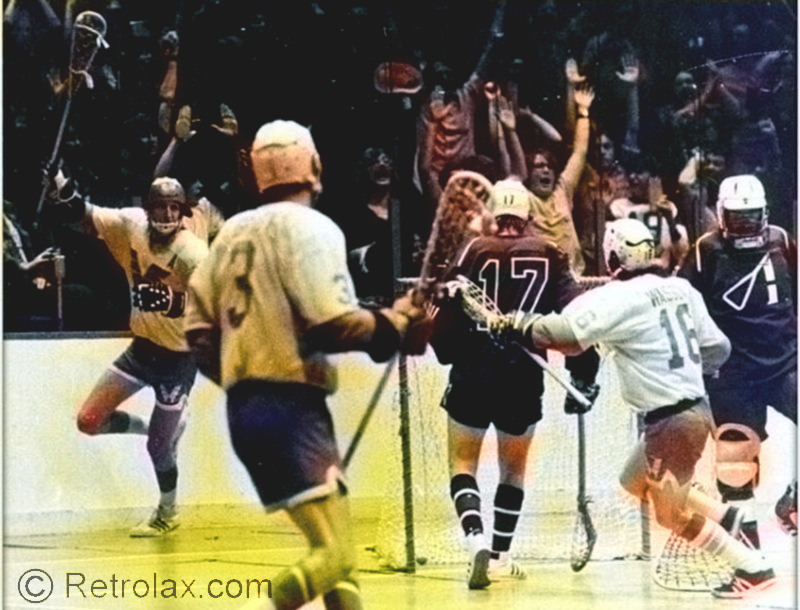 How is it you say… here is the history behind how pro lacrosse was transformed to the United States. 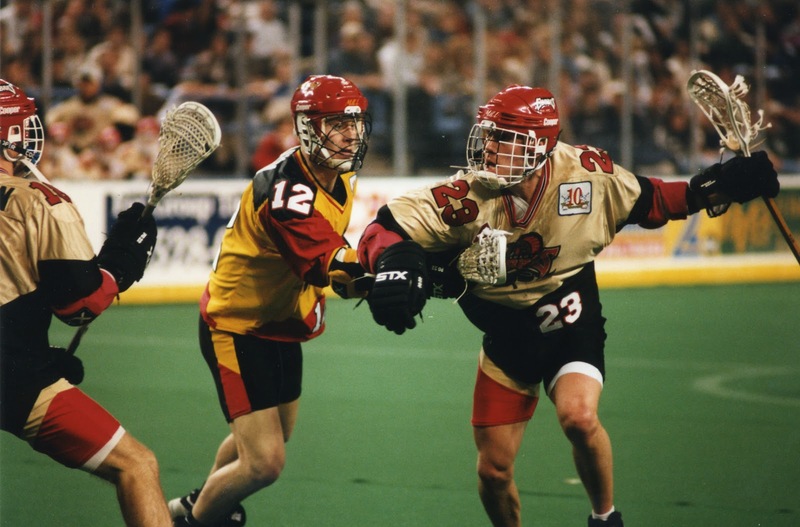 As dedicated, passionate and devoted lacrosse fans know, and for those new to the game or unfamiliar with lacrosse in Canada, Canadian lacrosse has been primarily based upon two leagues. 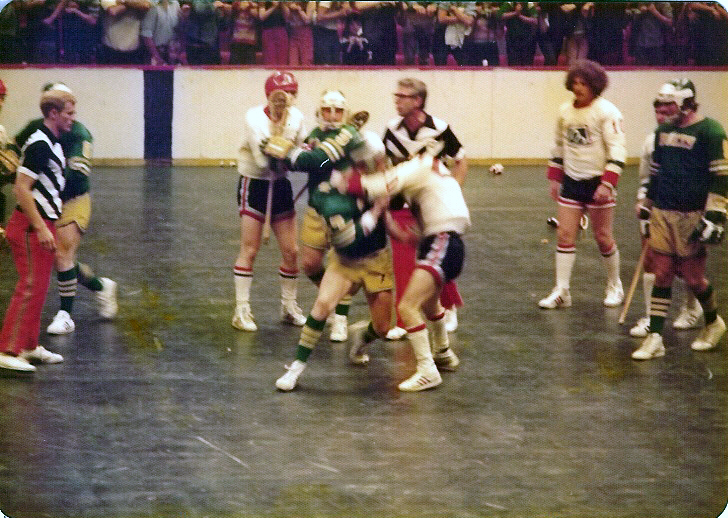 The teams come from eastern Canada known as the OLA in Ontario and Western Canada known as the WLA in British Columbia that provided the majority of players who participated in the pro league of the 60’s and the 1974-75 NLL. The original pro teams of the 1960’s were made up of all the players who played on these traditional Senior “A” (known now as Major Series) teams from both Canadian leagues. In the years 1968 and 1969 these Sr. A teams declared themselves “pro”. In the two years that the top senior players declared themselves pro the Senior “B” teams moved up to be the Senior “A” teams and played for the Mann Cup. The Mann Cup championship is emblematic of the Canadian Senior Lacrosse Championship of Canada which is Canada’s equivalent to the Stanley Cup. The trophy is a solid gold trophy valued at $60,000. The pro league of the 1960’s played a 36 game schedule with some interlocking games between east and west during the regular season. The pro teams of the 1960’s represented the established senior (major) franchises that still exist today, now known as “Major Series” league with players coming from Peterborough, Brampton, Brooklin, St. Catharines etc. playing out of centres like Montreal, Toronto, Detroit and Peterborough. The western teams were the established franchises of the 60’s that are still familiar names today with the likes of New Westminster, Victoria, Vancouver, and Coquitlam. 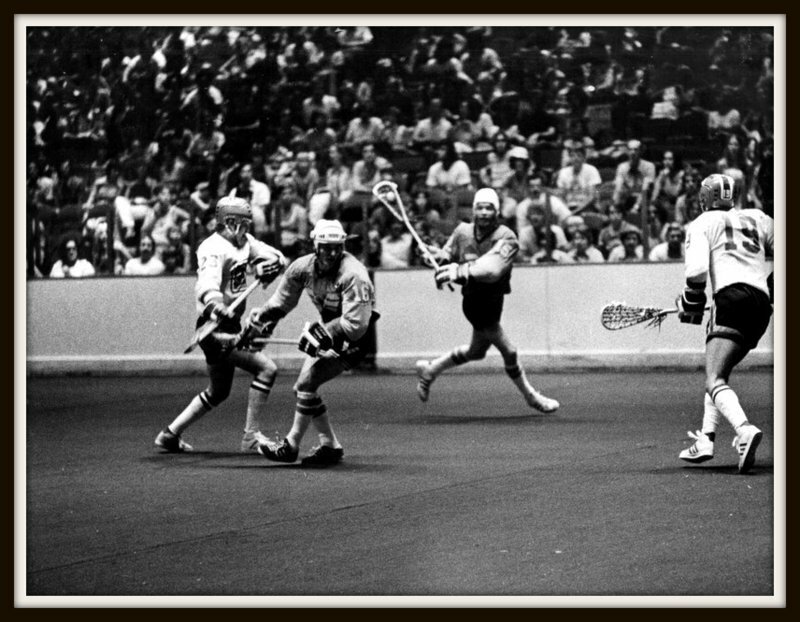 Crowds for the 60’s pro league were around 3,000-4,000 thousand and some box purists say that it may be the finest lacrosse played, especially the “69” series that went 7 games between New Westminster Salmonbellies and the Peterborough Lakers held in Peterborough. From the pro league of the 60’s came some of the games finest coaches at the time in Morley Kells, Jim Bishop and Bobby Allan. These three brain thrusts took the game from the slow moving half court game and inserted the 30 sec. clock into the game to speed it up and make it more of a transition game. They had a dream when the two pro leagues in Canada failed to export their fine product to the United States through their hockey connections. 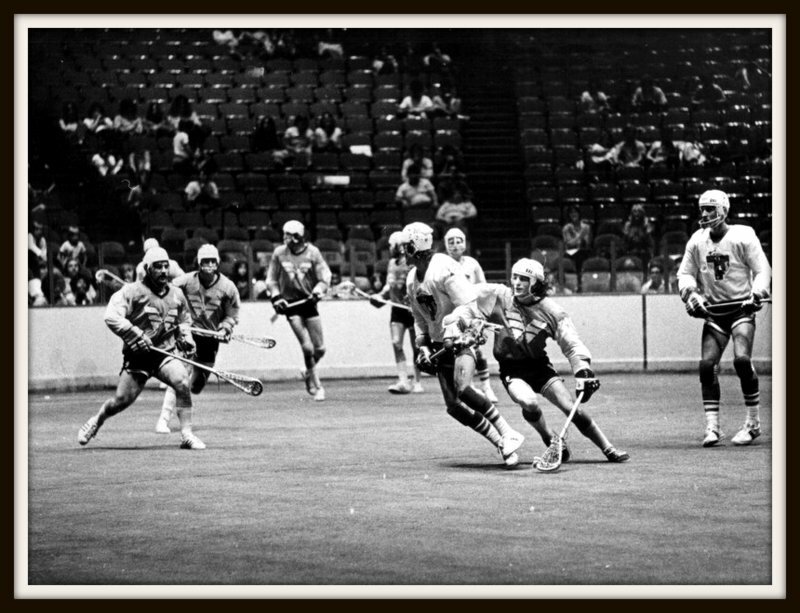 In 1974-75 a third try at pro lacrosse was made using Canada’s best senior box players from the teams in Canada that regularly competed for the Mann Cup. Jim Bishop who coached the Oshawa Green Gaels to seven consecutive Minto Cups from 1963-69 often had his team practice at Cornell for training and Canadian players for the first time got a rare glimpse and introduction to the American field game. He even hired Ned Harkness to coach the NHL Detroit Red Wings while he was serving as GM there at the time. Harkness was the Cornell field lacrosse and hockey coach from 67-69. 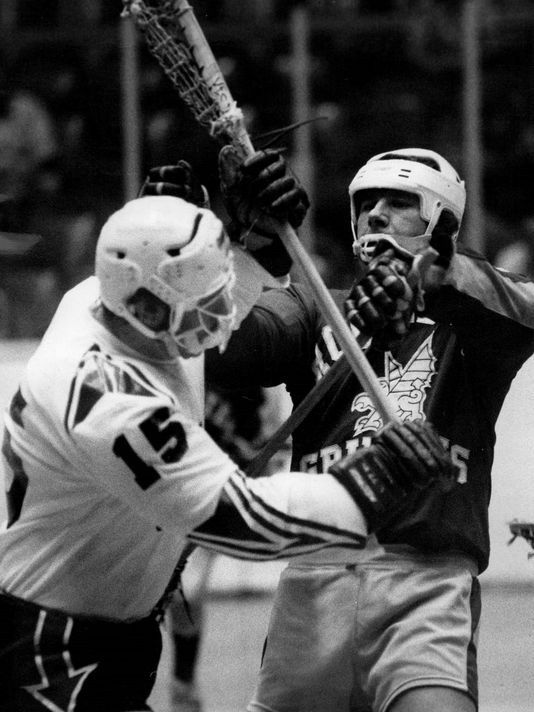 It was while Bishop was in the NHL, that he was able to convince NHL owners to invest in this new six team venture of pro lacrosse in the United States using mainly the best Canadian box lacrosse players. Teams in 1974 were the Montreal Quebecois, Toronto Tomahawks, Syracuse Stingers, Rochester Griffins, Philadelphia Wings and the Maryland Arrows. In the second season, 1975 the teams were the Long Island Tomahawks (formely the Rochester Griffins), Boston Bolts (formerly the Toronto Tomahawks, Quebec Caribou (formely the Syracuse Stingers), Montreal Quebecois, Philadelphia Wings, and the Maryland Arrows. The league played a 40 game schedule in 1974 and a 48 game schedule in 1975. All games were played out of NHL arenas and the rules of the game were out of the OLA manual with NHL and OLA referees doing the majority of the officiating. In the second season crowds averaged anywhere from 3,000-5,000 in Boston and New York, 6,000-8,000 in Montreal, Quebec and Maryland and 8,000-10,000 in Philadelphia. The bulk of the players due to geography came from the Ontario league because of it’s proximity to the eastern seaboard of the United States where the US teams were based. Many home games were covered by local television stations with daily newspaper reporters assigned to cover the games. Sports Illustrated covered the league with two feature articles each season and NFL films with John Facenda doing the voice did a promo film covering the Wings in 75. 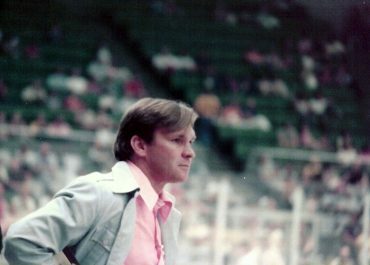 Gene Hart the Flyers play by play announcer did the Wings as well in both of their seasons. Bill Lyon, John Dell, Bill Flieschman and Terry Brennan were beat reporters for the Wings both home and away. Salaries ranged depending on the city you played in from 10,000-30,000 for the season. The players flew first class to every city and played out of all the NHL rinks. There was no players union. All the players negotiated their salary on their own. Unfortunately, the best league lacrosse had ever seen still folded. 1. 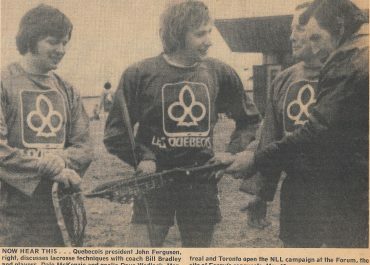 Canada beat the USA for the World Field Lacrosse Championship in 1978, exposing Canada to the US field game at heights it never experienced before. 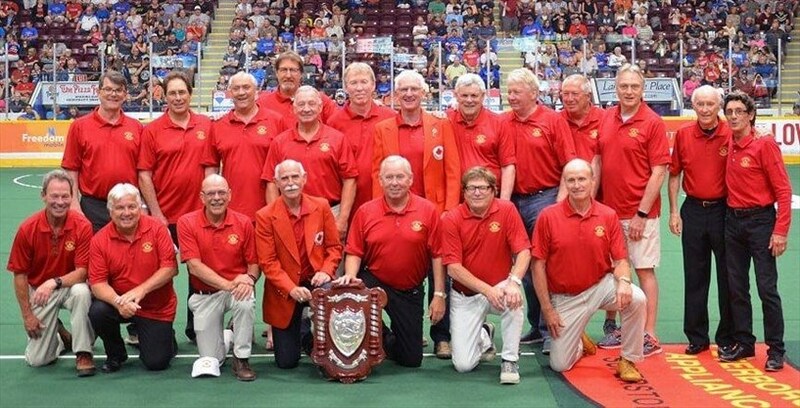 Ten members from the 1974-75 pro league were members of the 1978 World Field Lacrosse team that won the gold medal for Canada for the first time in Stockport, England. 2. Because of this championship the Gaits were introduced to the American field game trying out for the Canadian National Team in 1986 as 18 year olds. 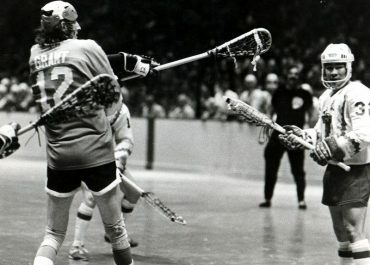 They were introduced by Canadian coach Bob Allan who coached the Philadelphia Wings in 1974 and Canada’s World Field Lacrosse Championship Team in 1978 to Roy Symmons head coach of Syracuse. The Gaits went onto revolutionize the game to the rest of America. They showed them the type of stick skills many Canadians get from playing the indoor box game and many Americans improved their stick skills because of it. 3. The game changed from a wooden stick to the plastic stick game. To the old box purists it was something they didn’t readily want to admit to. The fact was that it wasn’t going to go away. Because of these sticks both passing and shooting of the ball are much quicker. Improvements in technology have improved these sticks far beyond what they were when they were initially referred to as”tupperware” because of their flimsiness. The heads, which were strung as leather and lace would often break. In addition, the ability to control the ball was also made difficult due to the inability to have a deep pocket in them. Those days are gone and the lightness and stiffness today has actually tremendously improved the shooting accuracy of today’s player. Because of this the American player is quickly developing his stick skills and the transition over to the box game is not as difficult as it was for the field player of 30-40 years ago.